INQUIRE NOW! 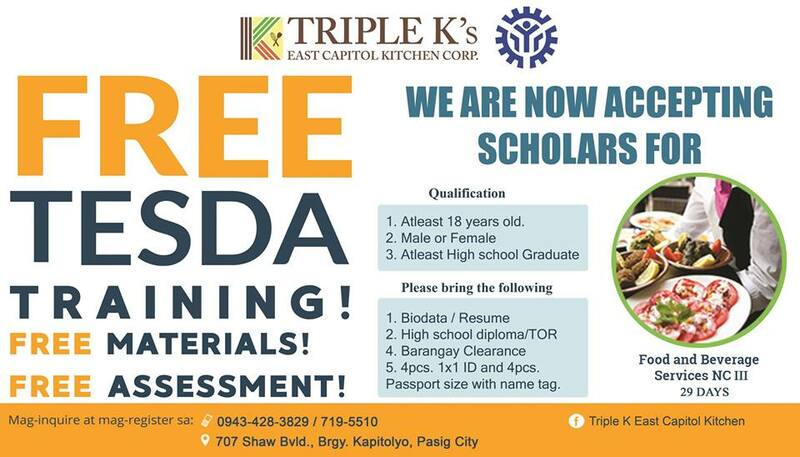 Triple K's East Capitol Kitchen TESDA Programs offers free TESDA training. See more details here. Or you may contact this number 0915-709-8052 / 7190914 Look for Ms. Myla or Janet as your contact person. Triple K's East Capitol opens from Monday to Saturday 8am to 5pm.